Last month, the Trust for Public Land published its annual ParkScore index; a ranking of the top 100 largest U.S cities parks. TPL determines the rankings by looking at factors like accessibility, funding, integrity and resources. 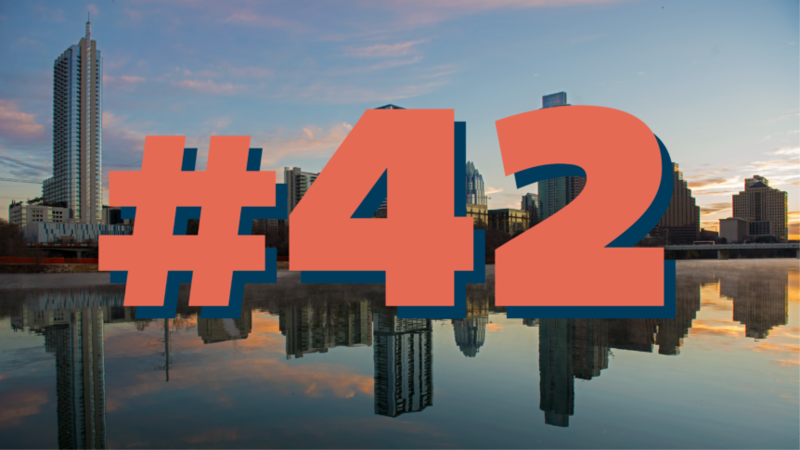 For 2018, some of last year’s hard work on advocacy and public participation helped Austin move up four spots to #42. Compared to other Texas cities, Austin ranks second highest with Plano, Texas at #18. Some of the other Texas cities trailing Austin include Houston, San Antonio, El Paso, Fort Worth and Irving. Here at APF, we’re thrilled that city-wide park support is on the rise. Access: generally measured by the percentage of population living within a ten minute/ half mile walk to a park. Amenities: anything like basketball hoops, dog parks, playgrounds, pools, senior and recreation centers, restrooms and splashpads. Investment: how much money is being put into the parks. This includes public spending, non-profit spending, and volunteer hours for public and non-profit organizations. While this rank improvement is something to celebrate, our city has a lot to improve upon. Part of the reason this year’s ranking improved compared to last year’s is that our parks department shared more information with TPL about our total acreage and new amenities. However, when looking at Austin’s scores for 2017 and 2018, the overall scored number did not change significantly; from this we can infer that one reason Austin moved up is because some other cities didn’t score as well as they did in 2017. Support from the community and the drive for public cooperation are driving our city towards equal access and amenities, but we need your help to keep up the momentum. The takeaway is, while we are doing better, Austin is still not investing in parks the way it should be. We need you to help change that! If we look at the comparison between Austin and other high ranking cities such as Chicago, San Francisco, or New York, Austin has almost double the amount of green space acreage. However, lack of access, funding, and amenities hold us back from a higher ranking. In addition to the top ranking cities, Austin spends only an average of $108 per resident compared to an average of $232 per resident in the top-ten ranked cities. Improving the parks in our city requires action and involvement! Contacting city council and staying up to date on upcoming bond elections and council meetings will ensure you’re ready to support Austin’s green spaces. To stay up to date on advocacy, join the APF email list , find us on Facebook, Twitter and Instagram or follow our blog.